Janna Heine was born in 1990 in Weingarten, Baden-Württemberg. 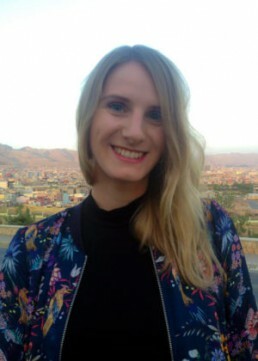 After receiving her bachelor’s degree in German literature and Social Sciences at the Humboldt University, she graduated from the Freie Universität Berlin with a master’s degree in Film Studies, with her thesis on Kurdish cinema. While studying cinema at an academic and theoretical level, she quickly realized that she was keen on practical film work. After her first production experience at the ZDF series Wilsberg, she began her career as an assistant to the author-producer Mehmet Aktaş, working in management for mîtosfilm. Since 2015, Heine has been producing both national and international co-productions together with Aktaş. In 2015 and 2016, she also worked as the International Program Manager at the Duhok International Film Festival in North Iraq. 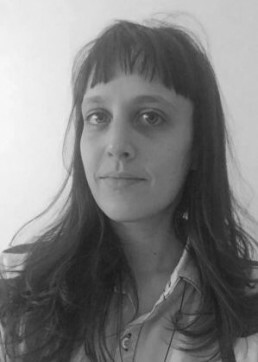 Born in Cagliari, Giovanna Branca studied cinema in Tuscany at Siena University and later in Rome at Tor Vergata University, where she currently collaborates with professor Giovanni Spagnoletti in a cinema course titled “History and Critique”. She is a contributor for the entertainment section of the Italian daily newspaper “Il Manifesto” and has formerly collaborated with the daily newspaper “Pubblico”. In addition, she is also editor in chief of the cinema website “Close-up” and has published an essay on Nanni Moretti entitled “Palombella Rossa”, as well as on Superhero movies. A Chilean filmmaker and producer. For five years, he was editor in chief at “CinemaChile”, the international agency to promote Chilean cinema in the world. He is currently obtaining his masters degree in Art Theory at the Universidad de Chile and runs his own company “Niño Niña Films”, where he has directed more than 30 music videos and several short-films selected at international film festivals. He also produces feature films and documentaries, highlighting Las Plantas (Plants), his first feature film as a director. The film, internationally premiered in Generation 14+ at the BERLINALE 2016, was awarded with the Grand Jury Prix for Best Feature Film and with a Special Mention from the Young Jury. 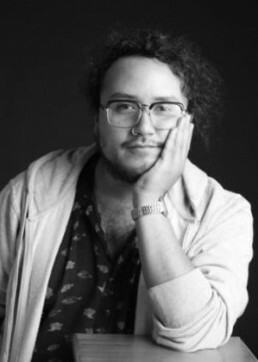 At present, besides developing his second feature film Bloody Night, he is producing: the feature film El Príncipe(Prince) by Sebastián Muñoz, La hija (The Daughter) by Isabel Orellana and Los nombres propios (Proper Names) by Fernando Domínguez, a co-production between Argentina and Chile.